At Tippetts Mechanical, a majority of the emergency repairs we make are the results of inadequate maintenance. People don’t take care of their HVAC systems, which break down and often require expensive replacement and repair. Because HVAC systems run practically year-round, they need regular care in order to stay in working order. The thing is, most people know this. They just aren’t sure how to access proper maintenance. They have two general choices: spur-of-the-moment maintenance and service plans, and they usually don’t like service plans. In our last blog, we discussed the pros and cons of HVAC service plans. 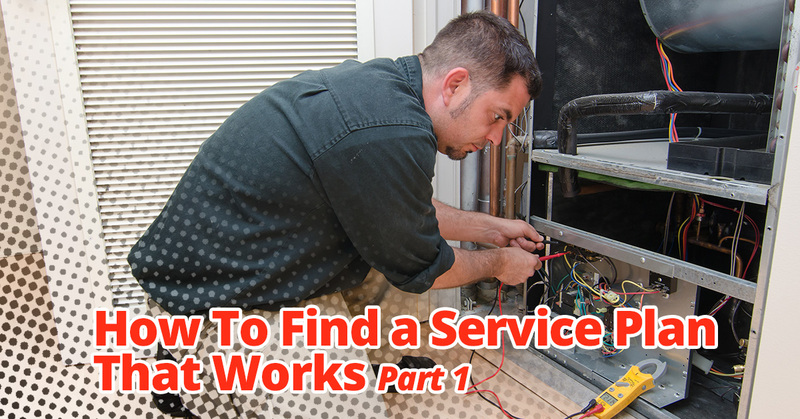 If you decide that an HVAC service plan is what you need, the next step is to find one that will be able to accommodate your system’s unique needs. The plan needs to deliver the care you’re paying for without taking advantage of you. But how can you find the perfect plan? The good news is, there are things you can do and signs you can watch for when shopping for a plan. Read on to learn more! If they are not included, go ahead and look for a different plan. Good service plans provide emergency repairs. How does the cost of the service plan compare to the cost of routine maintenance? You should ensure that the plan actually makes sense for your budget. If paying for routine maintenance costs less, leave the service plan behind. However, chances are good that a service plan will work for you, especially if the warranty on your system has expired. At the end of the day, you need your HVAC system to be maintained with excellence and consistency. Turn to Tippetts Mechanical for HVAC repair that you can depend on. We will work hard for you. Learn more today!